A strolling magic show performance is a lot different from a magic and illusion show on stage. There is less work setting up the show, as with a strolling performance I’m ready as soon as I’m in costume. A stage show however is not better or worse then the strolling wandering magic show, it’s just different. A strolling magic show performance is perfect for events where there is a lot going on, the attendees are all over a wide area, there is no performance stage or many other reasons. Recently I performed my strolling pirate magic show in St. Thomas Ontario at the Joe thorton community centre arena. A magic and illusion show may take over an hour to set up the show. preparing equipment, sound systems, curtains etc. A strolling performance is almost good to go as soon as I arrive. When I recently performed in St. Thomas I was able to walk right into the event and begin as soon as I marched in the doors. And I did march in. I marched in to pirate music! Before I arrived on sight I stopped nearby for lunch and was able to change into my pirate shirt. That allowed me to be able to quickly hop out of my vehicle and put on the accessories in the parking lot. My pirate sash, hat and baldric was all I needed. When I stroll around the event performing magic I like to have a table to travel with me to perform on. It’s not required, but it helps when I want to show more formal pieces of close up magic. After experimenting with a variety of smaller tables I decided authenticity counts and I now use a huge 60 gallon oak wine barrel on wheels! this thing is big and to see a pirate pushing around a huge barrel is quite a site. The barrel also has a door which allows me to fill it with my equipment and a small sound system. Something I would not be able to do with a smaller table. 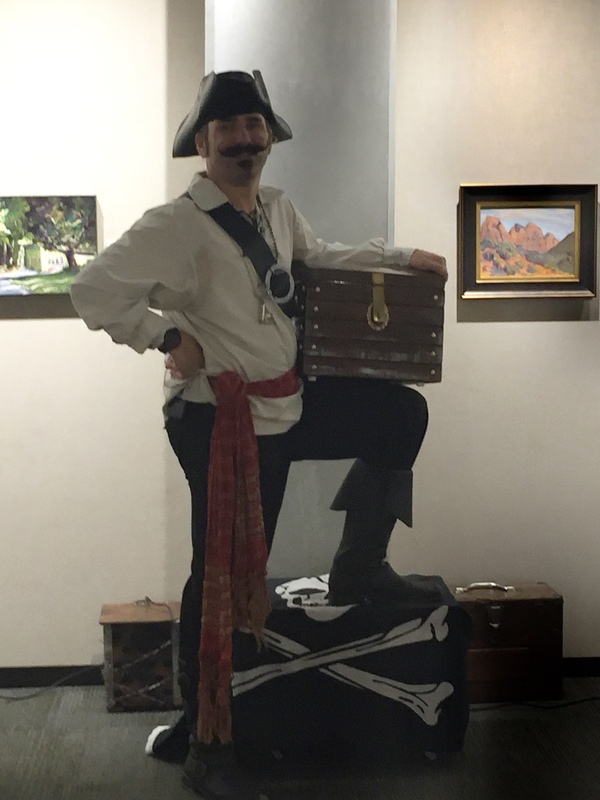 So in the parking lot of the Joe thorton community center I finish my costume, remove my barrel from the vehicle, turn on my sound system which plays nautical themed music and I push the unit up to and through the front doors making quite the entrance as a pirate with great background magic. After my grand entrance the performance begins and I wander around the room performing my incredible close up magic on top of my barrel and in the spectators hands. 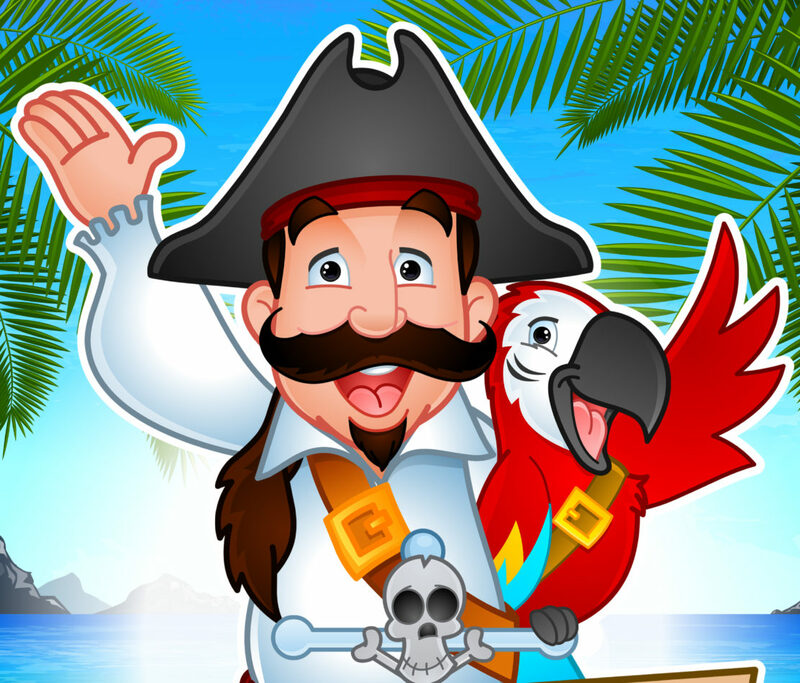 Strolling pirate magic makes a huge impression and creates fun memories that will last a very very long time!